Urunga Township is a lovely destination where the Bellinger and Kalang rivers meet with the ocean. 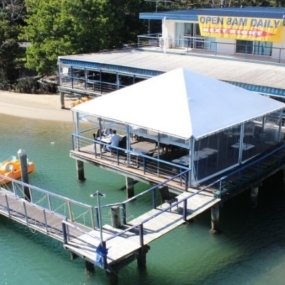 With a laid-back seaside atmosphere, Urunga has gorgeous beaches for surfing and swimming, as well as a variety of cafes, clubs and restaurants. Other activities include kayaking, beach and rock fishing and boating. There is even a nine hole golf course. 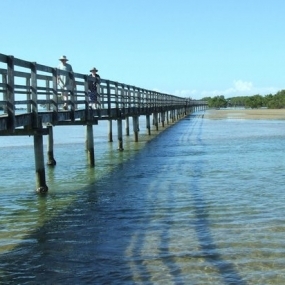 Urunga Boardwalk is recognised as one of the best boardwalks on the New South Wales coast. It stretches for over a kilometre with many places to take a rest along the way. The walk provides views of the town, the banks of the Kalang and Bellinger Rivers, the ocean and the Great Dividing Range. The boardwalk also spans the mouth of the Urunga Lagoon, an estuarine wetland which provides habitat for mangroves, seagrass and salt marsh. 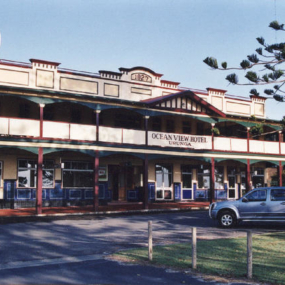 The Ocean View Hotel in Urunga was first built in 1895 but destroyed by fire. Rebuilt in 1927 it is a typical grand seaside pub with an excellent view across the river mouth and a great place to have a relaxing meal. 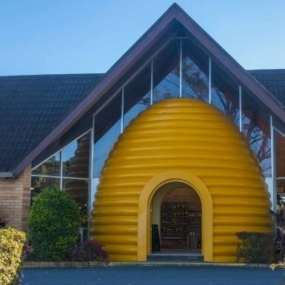 Located just south of Urunga, with its distinctive entrance in the shape of an enormous yellow beehive, this is an ideal place to see the entire honey making process and purchase a wide range of honeys and honeycombs. Trike Tours to Urunga could incorporate any of the attractions described above or could be combined with a trip to nearby Raleigh, where one can enjoy a cheese platter and a glass of wine on the scenic deck of Raleigh Winery overlooking the Bellinger River. To find out more about our tours through Urunga and surrounds, give us a call on 0418 468 910 or email us at lee@coffsharbourtriketours.com.au.